It would be difficult to choose a single favourite musician, but if you held my feet to the fire, it would most likely be Stevie Wonder. Just watching this man perform gives me chills, and I don’t think I’ve ever heard music by him that I did not like. Not too long ago I did a post with one of my absolute favourites pairing Stevie Wonder with Paul McCartney in Ebony and Ivory — one that I am likely to repeat from time-to-time, for the meaning of the song should never be forgotten. Blind since birth, Stevie Wonder was considered a child prodigy and signed with Motown at age 11. He has recorded more than 30 U.S. top ten hits and received 25 Grammy Awards, one of the most-awarded male solo artists. He is also noted for his work as an activist for political causes, including his 1980 campaign to make Martin Luther King Jr.’s birthday a holiday in the United States. In 2009, Wonder was named a United Nations Messenger of Peace. This song, Yester-Me, Yester-You, Yesterday, was released in 1969. It reached #7 on the pop singles chart and become Wonder’s ninth Top 10 single of the 1960s. The single fared even better on the UK singles chart where it reached #2 in November 1969, and at that time, it was Wonder’s biggest UK hit. 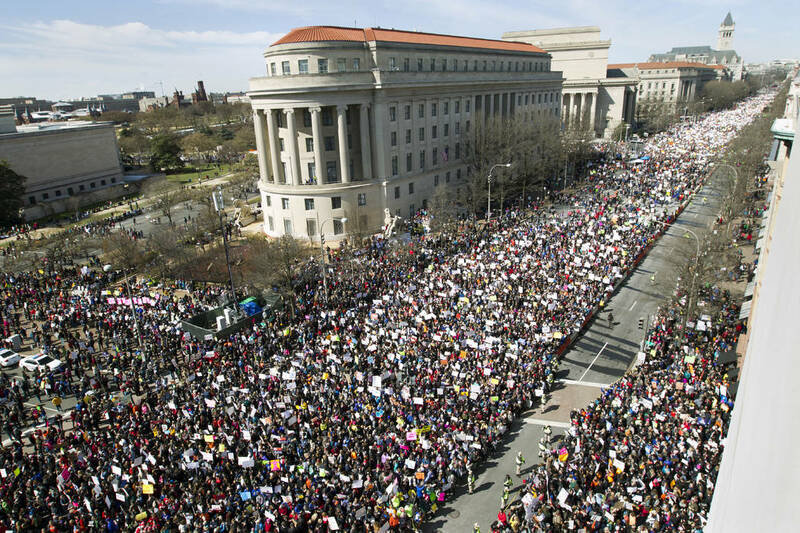 Thumbs Up — March For Our Lives! On Saturday over 800 March For Our Lives events, organized by young people, took place around the globe, from New York to Dallas to Seattle, but also in London, Tokyo, Sydney and Mumbai! This was not some minor protest that will be forgotten by next week. Nope, folks, this was a BIG DEAL. 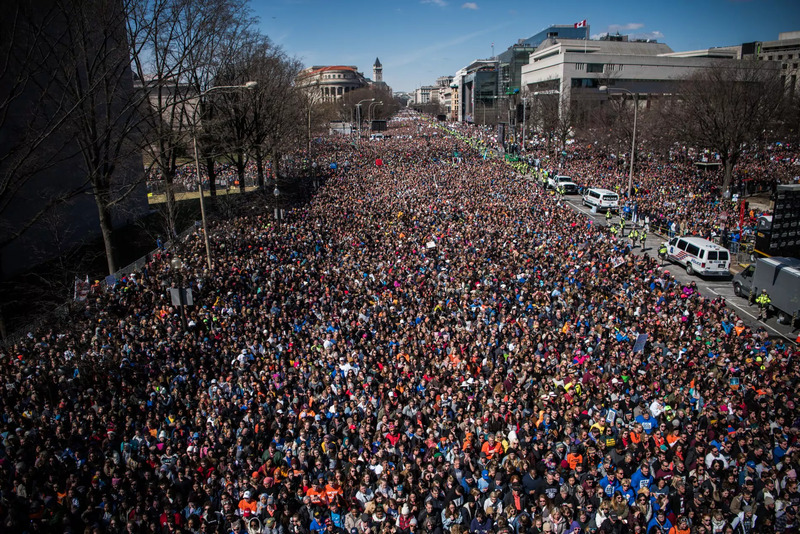 These young people had a message and they sent it loud and clear: It’s time to stop the gun madness in the U.S. – NOW!!! I support them 100%, and I am so very proud of anyone and everyone who marched, helped organize or contributed in any way to these events. Think how amazing this is. The students who survived the February 14th tragic shooting at Marjory Stoneman Douglas High School in Parkland, Florida, organized the rally in Washington, D.C. and from there, others picked up the baton and ran with it. This map shows where rallies and marches were held throughout the U.S.
George and Amal Clooney donated $500,000 for the Washington event and marched alongside demonstrators, as did Oprah Winfrey, Steven Spielberg and other celebrities too numerous to name. U.S. Representative and Civil Rights hero John Lewis gave an impassioned speech where he said he was proud of the “F” rating he has from the NRA. 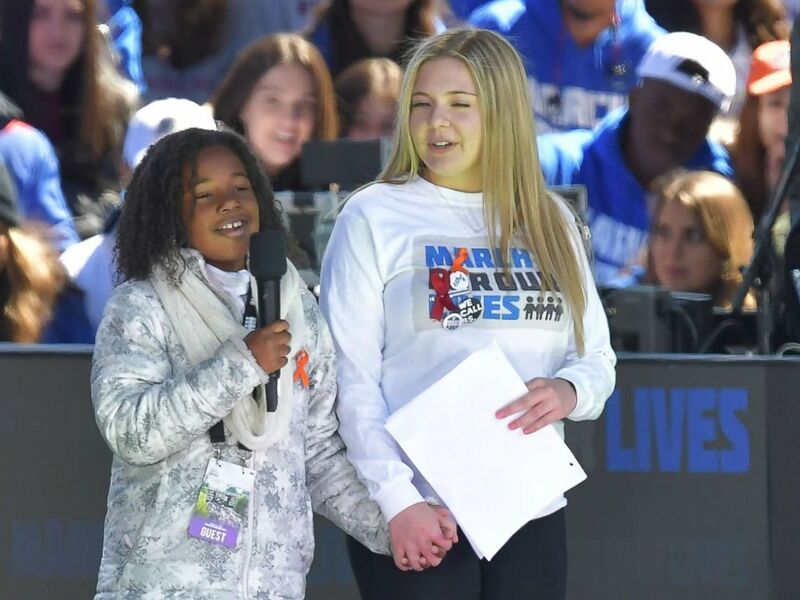 But by far the stars of the show were the speeches by the survivors of the Parkland tragedy and the signs! Take a look at some of these signs, folks! 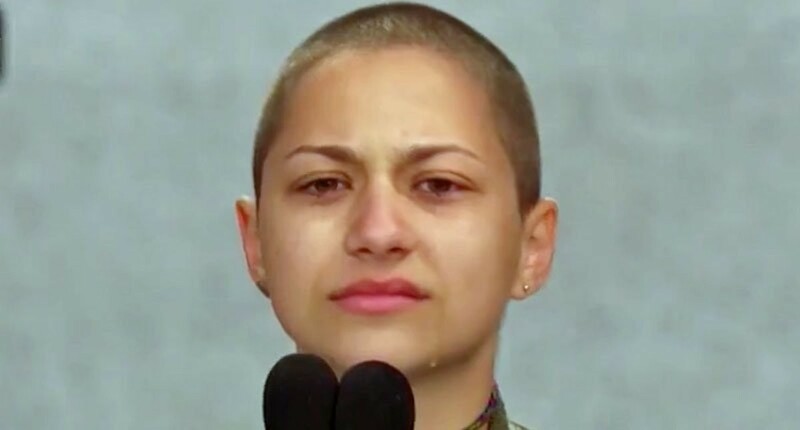 And then there was Emma González’ moment of silence. Actually, about six minutes and 20 seconds of silence, the amount of time it took for the Parkland gunman to complete his rampage and flee the school. A student survivor of the Parkland, Fla., high school shooting last month held several minutes of silence Saturday at the “March for Our Lives” rally in Washington, D.C., to honor the 17 students and faculty killed in the shooting. Taking the stage mid-afternoon after several other Marjory Stoneman Douglas High School survivors spoke, Emma González remained silent for six minutes before explaining it was the approximate time it took for the Parkland gunman to complete his rampage and flee the school. These young people are the next generation. They are the ones who will lead this nation 20, 30 or 40 years from now, perhaps even sooner. Let us hope that they do not become jaded, that they keep their strong humanitarian values, that they effect the change our own generation is too consumed by greed and materialistic ‘values’ to do. My thumbs, all of them, are up to these young people! Thank you all! Whomever doctored this image to make it look as if Emma González were ripping the U.S. Constitution in half, when in fact she was ripping a gun-range target. The image went viral on social media, firing up the already witless staunch defenders of the second amendment.